Victoria M. Duehr graduated from South Dakota State University in 1991. She attended the University of South Dakota School of Law and graduated in 1995 with Sterling Honors. Following graduation, she clerked for Judges in the Second Judicial Circuit of South Dakota. 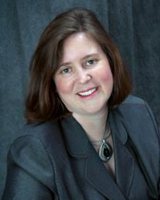 She practiced in Brookings, South Dakota, until joining Bangs McCullen law firm in 2003. Her practice concentrates in the areas of family law and civil litigation. Divorce and family law related issues can be a difficult and stressful time for a person. At Bangs McCullen, we focus on providing attention and detail to each of our clients. We get to know our family law clients on a personal level. We assist our clients with family law matters, including adoption, paternity, divorce, child custody, child visitation, child support, and post-divorce issues. We are proud to announce that Bangs McCullen once again has been recognized for outstanding counsel by Best Lawyers. The Best Lawyers Board of Advisors is a group of distinguished legal professionals from the world’s leading law firms and many of the General Counsel from Fortune 500 and Global 500 companies. Best Lawyers believes that the best lawyers know who the best lawyers are, and their recognitions are based purely on the feedback received from lawyers already highlighted in their prestigious publication.